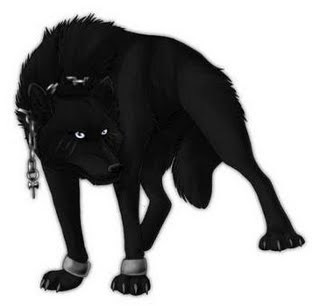 This category of the devils resembles a dog and helps out the magician with all sorts of evil .This dog- like- devil is black in color and is an expert magician himself. When he is dispatched by a magician to harm a person, he performs the magic himself. The victim may see a black colored dog with strange colored eyes. He may bark at the victim. He usually stays within the victim’s body for a day or two only and leaves him after he has done the magic. 1 The victim may dream of a black colored dog. 2 At night, the victim may feel as though he has been bit by a dog. 3 Sometimes these devils bite the victim on his hand, leg or nose. All this takes place at night when the victim is fast asleep. 1 The victim should read verse no.102, Surah Baqarah 500 times himself, in the morning as well as the evening, daily. 2 Do Hisaar with Ayatal kursi while going to sleep so that this devil can not bite at night. 3 Read Surah Fatiha 300 times after fajar namaz. 4 Read Surah Saba once after zohar namaz. Inshallah taala this devil may leave soon and whatever magic spell he may have cast may break.